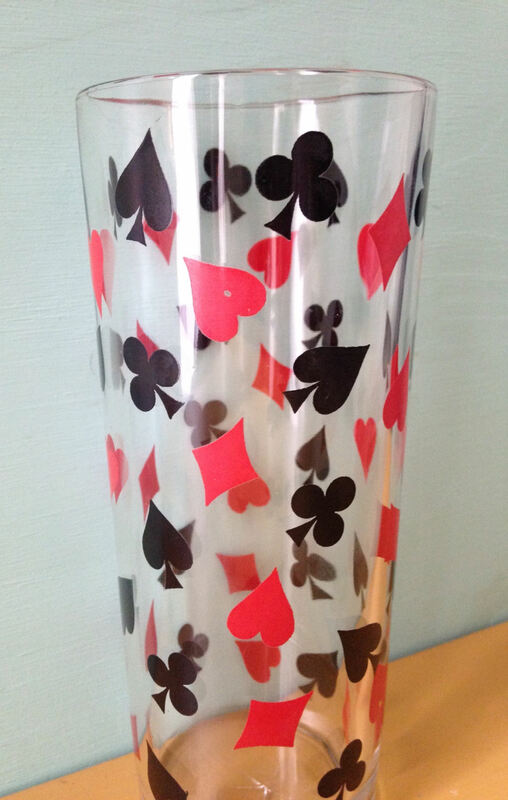 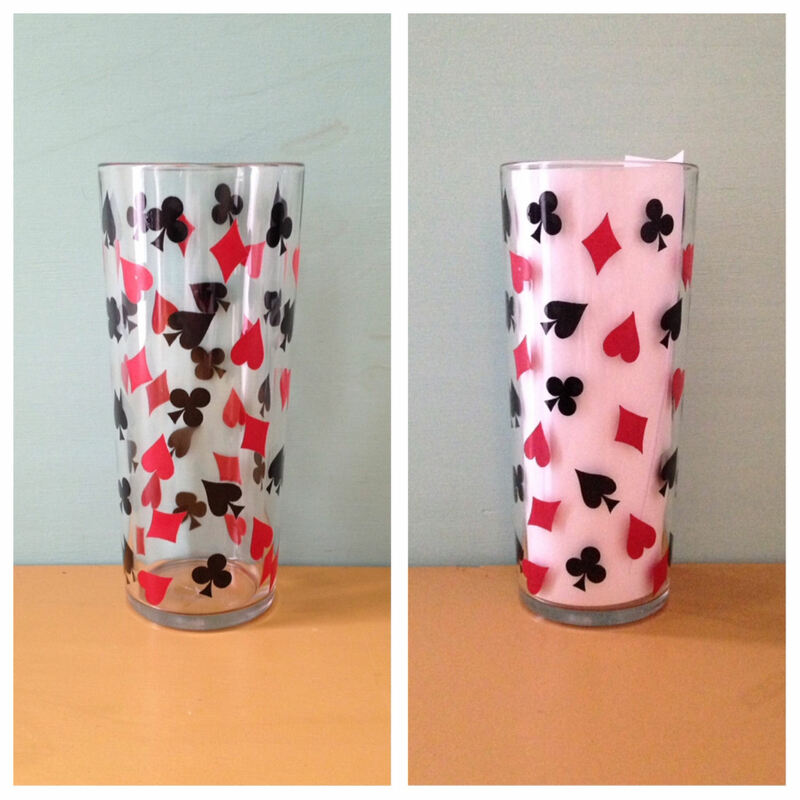 Vintage 1950s single glass tumbler with red & black card suite design. 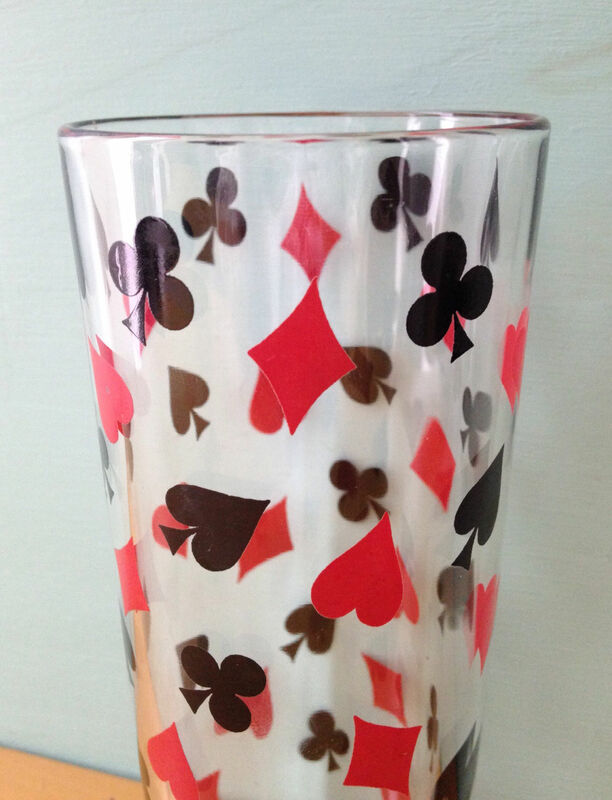 Good vintage condition; design is still bright and unfaded with one small hole in one of the hearts (pictured). 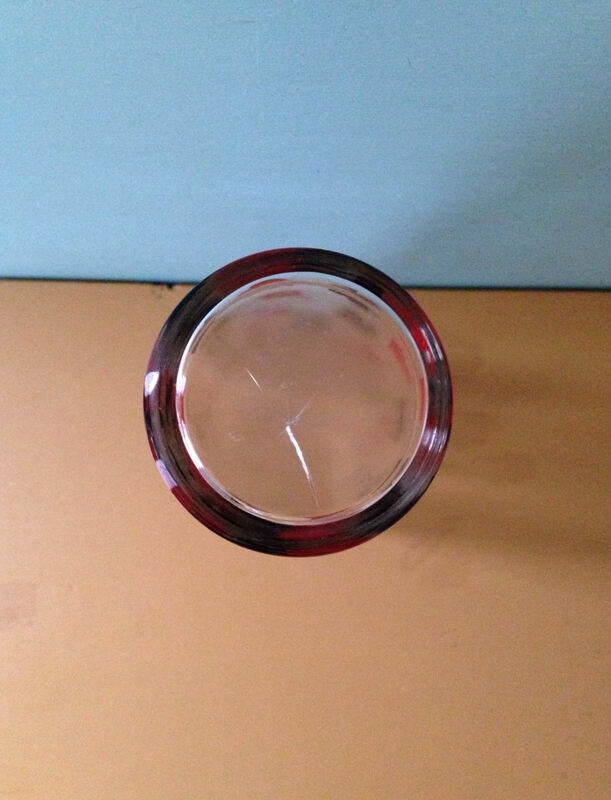 Surface cracks at the inside bottom of the glass but they are only on the inside layer. 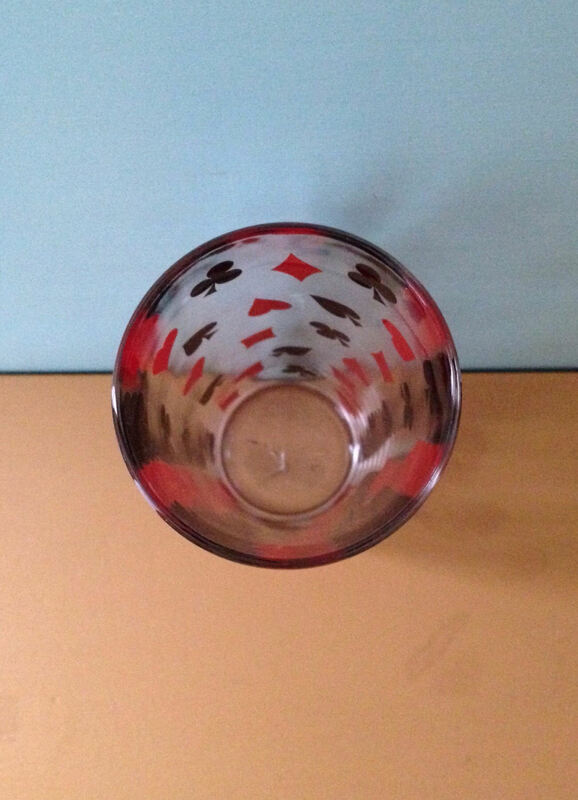 Does not cause glass to leak and doesn't detract from piece.